It is no secret that I am a storage junkie. Everyone that visits this site should have figured that out by now. With as much data as I store on my network(s), I am always on the hunt for a better hard drive to (over)populate my NAS and servers. Desktop drives are affordable but not ideal for NAS/Server storage while Enterprise drives are way to costly for the average person. Seagate thinks they have created the perfect drive for your NAS (and mine) and it goes by the name NAS HDD, It stores an impressive 4TB, and it is very inexpensive. Can it do enough to displace my current drive of choice? So, what makes this 4TB NAS HDD any different that their standard desktop class 4TB drives? First off, it has been tested with many of the NAS manufacturers out there; ASUSTOR, Buffalo, D-Link, drobo, LaCie, QNAP, Thecus and a slew of others. They have all stamped their seal of approval on the drive. Additionally, the NAS HDD is outfitted with a MTBF (Mean Time Between Failures) rated at 1 Million hours. There is no specification for MTBF on their Standard drives listed on the product pages. While the details can get pretty granular, I will do my best to hit the high points quickly. According to Seagate’s specifications page, this drive sports a 64MB cache, can sustain 180MB/s, and has an average latency of 5.1ms. The drive’s recording method is TGMR, it has a track density (ktracks/inch af) of 340, and consumes approximately 4.3 watts during operation. The drive’s spindle speed is 5,900 RPM and features a SATA 6Gb/s interface. Built and tested to provide industry-leading performance, NAS HDDs are fine-tuned to quickly and reliably support home and business applications. 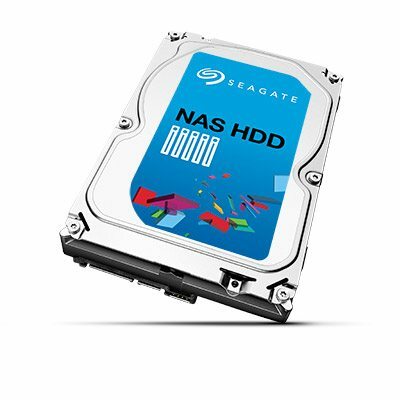 By supporting multiple HD video streams and user profiles in a multi-drive environment, Seagate NASWorks reliably provides the performance demanded by NAS solutions. Custom-built features minimize the occurrence of common issues found in NAS applications. NASWorks includes features such as extended error recovery controls, minimized vibration effects and advanced power management. 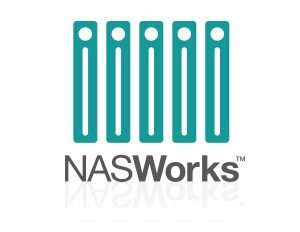 Furthermore, NASWorks improves drive health and performance, delivering the 24×7 reliability demanded by 1- to 8-bay systems. NAS error recovery controls help ensure drives maintain the highest data integrity without compromising system performance. Working together with a RAID array, NAS error recovery controls protect your data where traditional desktop HDDs may fail and cause the RAID to start the time-consuming task of rebuilding the entire drive. Standard desktop drives can emit vibrations that become amplified in systems with two or more drives, compromising performance and data integrity. With the support of the NASWorks dual-plane balance, drive vibrations are dampened so that they can perform consistently and reliably in applications with one to eight drives. Previous Have You Met Lily? The Seagate 4TB NAS drive is a great choice for those looking to populate a storage device. The drive's performance and price make it an easy decision.